You are invited to participate as a sponsor and/or exhibitor in the 54th Australian and New Zealand Society of Nephrology (ANZSN) 2018 Annual Scientific Meeting being held at the Sydney Convention Centre (ICC), 8 – 12 September. As the professional body for renal care, ANZSN is committed to developing a meeting that fosters discussion between our members and your organisation. The ASM typically attracts in excess of 350 attendees and we anticipate Sydney 2018 to be a record breaking year! Attendees range from nephrologists, senior scientists, trainees in nephrology, scientists undertaking higher degrees and nursing and allied health professionals. Meet face-to-face with those who make and influence the final decision on the purchase of renal care products and services. Demonstrate new services and programs. Maintain a high profile with your target markets. Network with delegates, industry leaders and health care experts. Demonstrate your involvement, commitment and support of ANZSN and the broader renal care community. We recommend securing your participation early in order to gain longer-term exposure and your preferred stand location in the exhibition area. Listed below are sponsorship and exhibition packages for your consideration. All packages are negotiable and are quoted in Australian dollars (AUD) including GST. Book your package by entering the Sponsorship and Exhibition Portal to the right. For exhibition site selection you will be asked to enter your top three preferences. The committee will allocate sites taking into account levels of sponsorship and the date we received a booking. 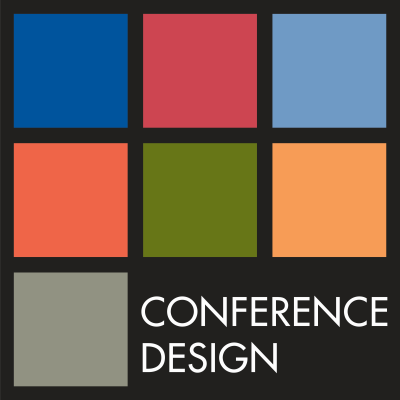 If you wish to discuss or reserved a package please contact the ASM Manager Anna Patterson anna@conferencedesign.com.au. The 2018 PDF prospectus provides a take home overview of packages available. Please book through the online portal. Exhibitor staff registrations do not include access to meeting sessions or the Gala Dinner. Dinner tickets may be purchased separately. Additional 3 day exhibitor staff registrations are available for $550 including the Welcome Reception. 1 day exhibitor registrations can be purchased for $300. Exhibition bump in begins Sunday 9th September. Exhibition is open to delegates from 0700 Monday 10th September until the end of lunch on Wednesday 12th September. Exhibitors may bump out after this time. The 2018 ANZSN ASM exhibition and catering will be located in the Parkside Ballroom on level 2 of the International Convention Centre. The design focus this year is inclusion, comfort and networking. To this end the floor plan will be designed to accommodate maximum delegate seating among the stands while promoting smooth traffic flow and an even spread of exposure throughout the hall. Companies will be given choice of booth position in order of their booking date and level of sponsorship. During the booking process please submit your top three preferences. 3m x 3m site for those who need more space. Be quick to grab one of these before they are all gone! Standard 3m x 2m sites for those that don’t need so much space. We would be pleased to tailor a package to meet your needs and marketing budget. 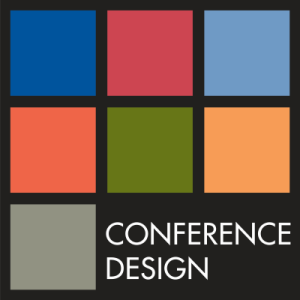 If you have any questions, or require further information please contact Anna Patterson at anna@conferencedesign.com.au or by telephone 03 6231 2999 (International +61 3 6231 2999). We would also be happy to discuss your involvement taking into account the Medicines Australia Code of Conduct. The cafes will each have one staffed barista machine serving coffee, hot chocolate and tea from 0730 to close of the final catering break of the day on Monday, Tuesday and Wednesday. The cafe set-up includes a barista and up to 300 coffees per day. Power is included for custom stands. Your proposed floor plan of the café is to be submitted to Conference Design for approval by the committee and venue. Only two cafes will be allowed in the 2018 exhibition and their positions are pre-marked on the floor plan. Exclusive opportunity: No meeting is complete without the provision of strong free internet and your company has the opportunity to be branded as the provider of this essential service. In addition your company name will be the wireless password for internet provided to delegates throughout the ASM. Signage reminding delegates of the wireless log in details will be branded with your logo. This event is always a highlight for delegates. It is the first opportunity for delegates to connect at the ASM. Canapes and drinks will be served in the exhibition area for two hours. The Gala Dinner is always the highlight of the ASM! Sponsoring the dinner is a fantastic opportunity to promote your brand in a fun and relaxed environment. This sponsorship opportunity offers prominent exposure of your organisation and logo. Each delegate will receive a name badge when they register at the ASM. Another way to be environmentally friendly yet still maintaining high access to the ASM abstracts. Abstracts will be included on a USB drive and provided to delegates at the ASM. No printed abstract book will be provided. Delegates will be directed to collect their USBs of abstracts from your exhibition stand (if desired). Industry Breakfasts are commercially supported educational activities held on the morning of the main ASM days. These sessions must end a minimum of 10 minutes before the opening plenary that day to allow participants time to move between rooms. Open round tables and chairs set up and standard audio visual is included. Catering and additional AV/furniture requirements are at the sponsor’s expense. Industry Breakfast Symposiums will only be accepted after final approval by the scientific committee. This is a great opportunity to reinforce your branding to all delegates. Each delegate will receive a copy of the pocket program when they register at the ASM. Show your support for ongoing nephrology research and practice by sponsoring the poster boards at the ASM. Posters will be displayed on boards throughout the exhibition area and numbered with signs bearing the logo of the sponsor. Each participant will receive a high quality satchel printed with your logo. Your logo is guaranteed to be seen every day during the ASM. The website and the delegate app are the main information sources for delegates in the lead-up to the ASM. Regular updates and extensive program and speaker information will ensure delegates will be visiting regularly – seeing your logo each time. eSatchel Inserts are PDF advertisements included in the meeting app. eSatchel Inserts are available to eligible sponsors (check the sponsorship package inclusions) and may also be purchased by exhibitors. Please refer to the Sponsor & Exhibitor Manual for eSatchel PDF Insert specifications.